We have an exciting giveaway for TWO tickets to the Finding Your Fiat Conference! 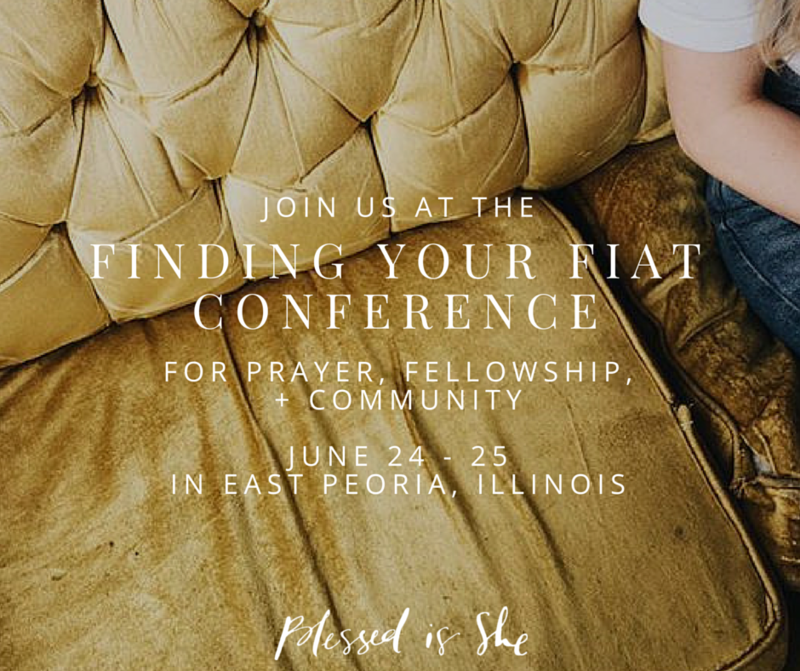 The conference is going to be absolutely wonderful - just a laid back, encouraging, fun, weekend with Christ as the foundation. The more I work on the details with Abbey, Nell, Jenna, Molly, Annie, Meg, Colleen, Sister Clara, Nancy, Laura, and Marie the more excited I am for YOU to be with us. And so, if you've been putting off buying a ticket, now is your chance to win one! 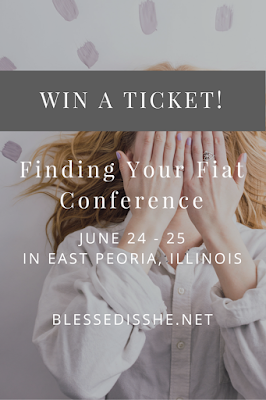 There are tons of ways to get entries, so have some fun, and share away so more sisters can know about Finding Your Fiat and we can all be together. We are holding the giveaway over at Blessed Is She so head on over! The giveaway ends Tuesday, May 17th at 11:59pm EST. PS - A special Thank you! to the two anonymous donors who made this giveaway possible!